Natural cures for Chilblains work well, so try these instead of taking drugs, which will worsen chilblains, in the long term, as all drugs compromise your natural blood circulation, over time. Chilblains usually manifest at the extremes of the body, such as toes or ears, and feel itchy or burnig. In more extreme case, there can be swelling, or even blistering. The chilblains occur when you have been cold, and then suddenly become warm. This quick contrast in temperatures is easy for the body to adapt to, if there are no underlying circulatory issues. Circulatory issues can, for example, be caused by nerve impingement, lack of exercise, or poor diet. Whatever the causes are, here are some wonderful remedies for chilblains, to help alleviate your discomfort. Rub one or two drops directly into the affected area, and immediately spread the lavender oil with water. This works as a painkiller, and is also anti-inflammatory to the expanded blood vessels. Mix the following drops of Essential Oils into 4 oz of Shea Body Butter. 6 drops Peppermint Essential Oil – dramatically increases blood to surface tissues and is painkilling. 6 drops Geranium Essential Oil – increases circulation of the blood. 6 drops Ginger Essential Oil – brings blood to the tissue layers, and warms the skin. 6 drops Black Pepper Essential Oil – powerful circulation stimulant, and warms the muscles. 6 drops Rosemary Essential Oil – greatly increases circulation. For a long term cure, some natural remedies for Chilblains can help you get rid of Chilblains for good. A. Exercise – It essential that you exercise several times a week. People often recommend walking, but although this is an improvement on no exercise at all, it is not a powerful enough exercise to remedy chilblains. Better choices are: yoga, and workouts at the gym with a mixture of free weights, circuit machines, and cable machines. B. In case you are not in the mood for mixing your own Essential Oil Remedy above), keep with you, at all times, Shea Summer Mint Body Butter. This is a ready made Essential Oil Cream, that dramatically increases blood to surface tissues, and is both painkilling and anti-inflammatory. C. Drink Ginger Tea daily, to increase your general blood circulation. 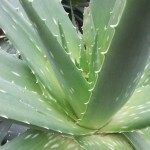 D. If your skin has become damaged from Chilblains, use our Organic Aloe Shea Whipped Cream Body Butter. Scientists have found over 200 nutritional substances in Aloe Barbadensis leaves, including 32 vitamins and minerals, 19 amino acids, and a variety of enzymes, which perform a wide variety of healing functions. Aloe is well known for its anti-inflammatory properties, but this particular Aloe Cream contains six other potent healing agents. E. If you are unable to exercise, for any reason, try to receive regular Massages. Massage trains the body to increase its circulation. In other words, the effect of the Massage does not just last for the duration of the massaging.